on March 24-26 in Athens, Georgia. Columbia, KY. -- A group of Lindsey Wilson College Outdoor Recreation students took first and third place honors in undergraduate research at the Southeastern Recreation Research Conference on March 24-26 in Athens, Georgia. Two of the LWC students competing also won conference scholarships during event. The first place winning team presented research entitled “Recreational Boating and the Distribution and Ecological Impacts of the Zebra Mussel.” This team included students: Madeline Cain, Kaitlin Cook, Michael Ratliff and Connor Walls. 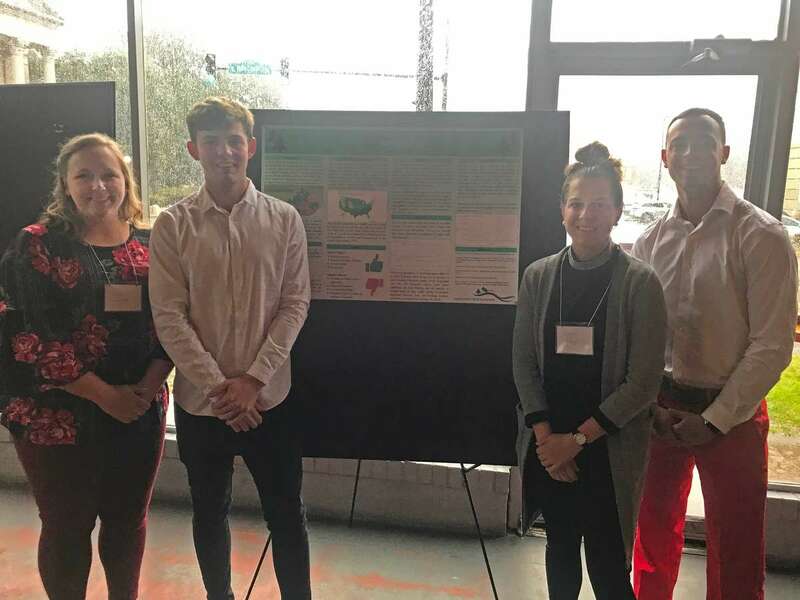 The third place winning team presented research entitled “The Effects of Alcohol on Visitation at Kentucky State Parks.” This team included students: Emma Looney, Scot Kirby, Jeremiah Hayes and Yvonne Ploeg. Bo Young Park and Yvonne Ploeg were the two scholarship recipients. To learn more about LWC Recreation, Tourism & Sort Management click here.